Neural Network Accelerators (NNA) may have become a must-have block in high-end mobile processors. Huawei Kirin 970, Samsung Exynos 9810, and Qualcomm Snapdragon 845 (via its Hexagon DSP) processors all come with NNA or NPU (Neural Processing Unit) to speed up tasks and comsume less power for tasks related to artificial intelligence / machine learning. 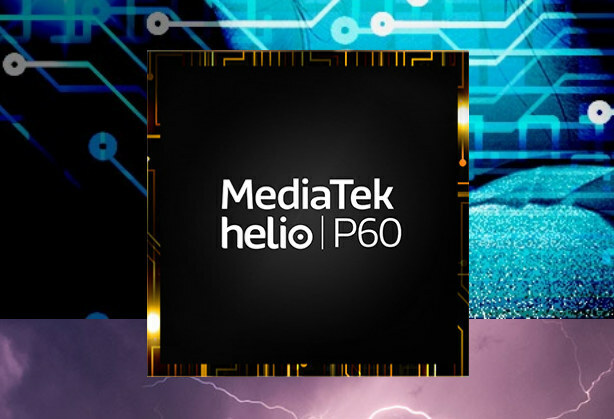 Mediatek has also jumped on the bandwagon with Helio P60 chipset featuring four Cortex A73 cores, four Cortex A53 cores, an Arm Mali-G72MP3 GPU and a multi-core mobile APU (AI Processing Unit) leveraging the company’s NeuroPilot AI technology. Multi-core AI processing unit (Mobile APU) – 280 GMAC/s; offers deep learning facial recognition, object and scene identification, user behavior-informed performance and other AI and AR application enhancements. Helio P60 is said to deliver 70% higher performance, 25% power savings in heavy duty games, and overall power savings of up to 12% compared to the previous generation MediaTek Helio P23 series chipset. The APU offers double the power efficiency of the GPU for AI processing. MediaTek Neuropilot AI SDK complies with Google Android Neural Network API (Android NNAPI), and supports common AI frameworks such as TensorFlow, TensorFlow Lite, Caffe, Caffe2, etc… with ONNX (Open Neural Network Exchange) being worked on. MediaTek Helio P60 based smartphone will start selling in early Q2 2018. More detail on the product page.